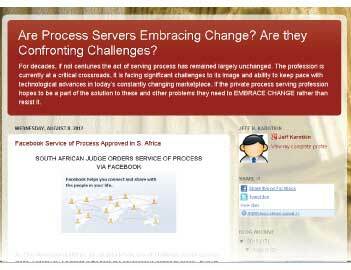 We know we’re not the only blog in town and we wanted to share with you these other blogs that focus on process service. For our industry to maintain the ground we have gained so far as well as to expand, it’s important that we are all as involved as possible. Knowing about recent news surrounding electronic service, potential or passed legislation, assaults on process servers or just general business tips helps both your business and the profession. 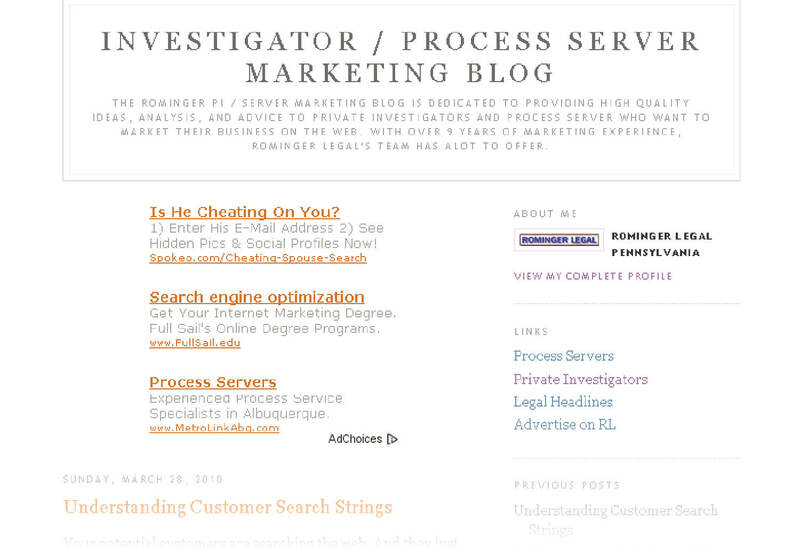 Seem like a lot to keep up with all these process server blogs? Look for a post coming up which explains RSS feeds so you won’t have to constantly check these sites for new content. Instead it will all be put into one place for you to read. But for now, feel free to check the archives of these blogs. Time to grab a cup of coffee and start reading! Jeff talks about a number of topics from a down-to-earth perspective on topics including the price variation between process servers and whether or not he would ever serve another process server. It will be interesting to see what topics come up next. 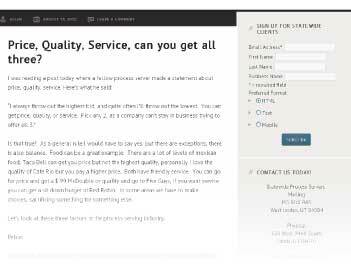 Robin covers information ranging from serving stories, the history of process serving and its evolution, dos and don’ts for process servers, as well as insight into the e-service issue. 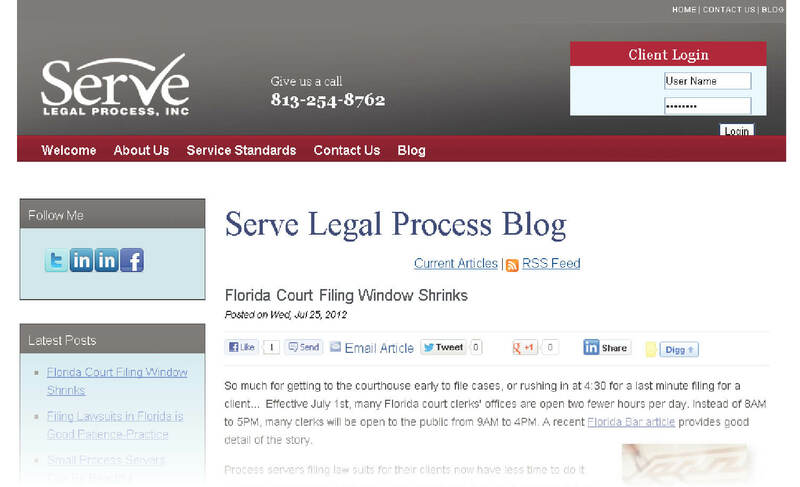 This blog includes updates on the Florida court system, technology and service, and general process service tips including a great piece on the 7 Deadly Sins of Process Servers. This blog focuses on all things involving electronic service of process, whether by e-mail, Facebook or Twitter and highlights the need to face the coming changes in the industry. A must read for anyone in the industry. 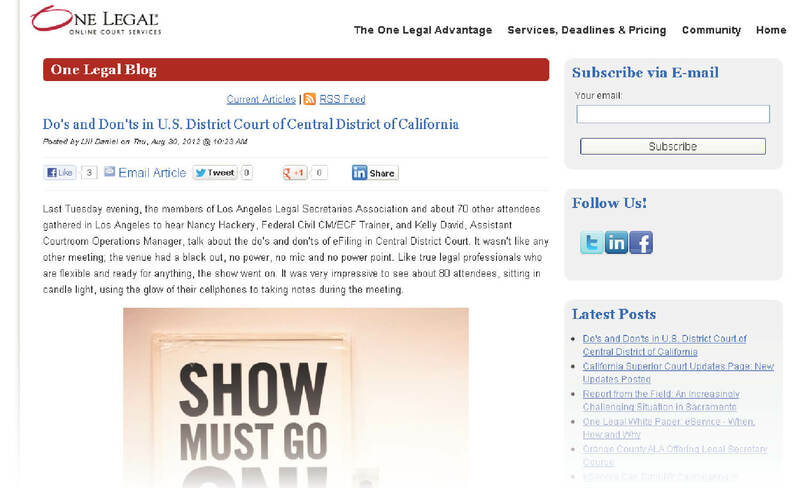 Focused primarily on California rule updates and news pertaining to process service, including e-filing. Feeling inspired to start your own blog? Check out Serve-Now’s tips on getting started. Be sure to let us know if you start your own so we can add you to list! Thanks! We’ll have to add in those two in a future post. It’s great to see how many servers are getting into the blogging world. The more information the better! Thanks for compiling a great list of resources! I already receive a feed from two – another one that I like is myaliass.blogspot.com. 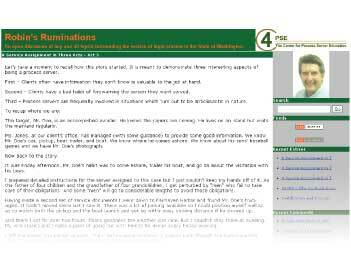 Some good blogs here. Nioce to read how things are done outside the UK! Very informative post, thank you for sharing!